The decision came in an update to the third edition of the dictionary, put together by some 50-60 lexicographers, and was put online last month. It gives the definition of the word as: “the (proposed) withdrawal of the United Kingdom from the European Union, and the political process associated with it”. And it points readers to a BlogActiv post by Peter Wilding, Stumbling toward the Brexit: Britain, a referendum, and an ever-closer reckoning. That dates from 15 May 2012 – some four years and one month before the fateful June 2016 referendum. The next earliest usage of the word the Oxford University Press lexicographers could find comes from some five months later, in October 2012, in the Christian Science Monitor. 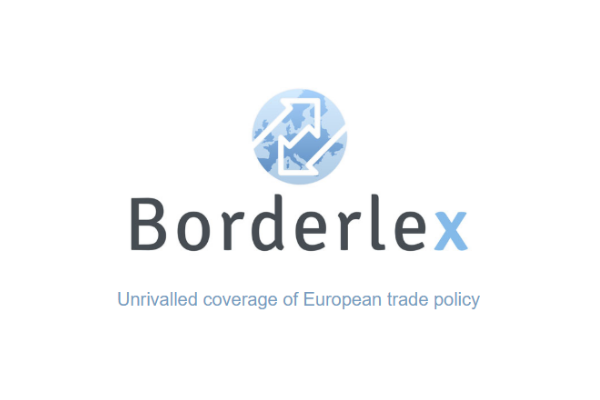 That piece asks: “Why would the EU consider special economic and trading privileges for Britain after its ‘Brexit’?” – a question many in Brussels, if not London, are still asking today. Quite what that means, perhaps only May herself knows. The UK political class is currently engulfed in the argument – also lexicographical – over ‘hard Brexit’ versus ‘soft Brexit’. Or, as former minister Michael Gove, and other Leave campaigners, prefer ‘clean Brexit’ or ‘full Brexit’ should replace ‘hard Brexit’. Wilding, who was then working for BskyB when he wrote the post, before leaving to set up British Influence, a cross-party Remain campaign, told euractiv.com “The brutal truth of it is I wrote this blog post, and then promptly forgot all about it. “Until this summer I got a phone call saying that the Oxford English Dictionary were going to put it in [the dictionary], and I realised I must have coined it. “I can’t pretend there was any ‘lightbulb’ going off above my head as I though of it – I think I must have been thinking of ‘Grexit’, which was the flavour of the month at the time, and come up with ‘Brexit’ as another portmanteau word. “Having invented ‘Brexit’, we [British Influence] are now taking the British government to court to try to ‘solve’ it,” Wilding added, referring to the case being heard by the High Court to allow parliament a say in debating the negotiating terms of Brexit. That case is due to be heard on either the 19th or 20th of January, with May then set to give a keynote speech setting out the government’s negotiating objectives sometime in February, before Article 50 itself is triggered in March. David Charter, the then-Brussels correspondent for The Times, now in Berlin, is thought to have written the first full-length work on Brexit, his book Au Revoir Europe, published later in 2012. The Oxford English Dictionary, published by the Oxford University Press, is widely-regarded as the ultimate recorded and arbiter of the English language – or, at least, British English. It dates back to 1857, although the first edition was not published until 1884. The 1989 second edition runs to 20 volumes, and some 22,000 pages. 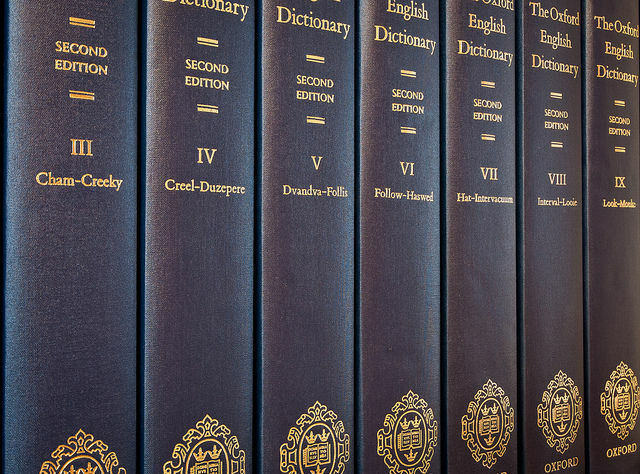 Since 1989, the OED has been entirely online, with a ‘third edition’ a continuing project. 15 May, 2012: EURACTIV.com publishes Peter Wilding's blogpost, now recognised as the world's first usage of the word 'Brexit'. 10 October, 2012: Five months later, the Christian Science Monitor published an article mentioning 'Brexit' - the second-known usage. December 2012: David Charter, then Brussels-correspondent of The Times, publishes "Au Revoir Europe", the first full-length book on the possibility of Brexit. 23 January 2013: Prime Minister David Cameron gives his 'Bloomberg' speech in the City of London, where he first promises a referendum on Britain's EU membership, if the Conservatives win the next election. 7 May 2015: Against all the opinion polls, the Conservatives win a (small) parliamentary majority in the UK general election, triggering Cameron's referendum promise. June 2015-February 2016: Cameron tours EU capitals and Brussels itself, trying to settle terms for a new, renegotiated, membership of the EU. 20 February 2016: Cameron announces the UK referendum on EU membership will be on 23 June. 23 June 2016: UK votes 52%-48% to leave the EU, after 43 years membership - the first major country (excluding Greenland) ever to do so. 24 June 2016: Cameron immediately announces his resignation as prime minister. 11 July 2016: Theresa May - a Remain campaigner - becomes the new Conservative party leader and UK prime minister. February 2017: Expected date for a May speech setting out the UK's negotiation objectives. March 2017: Announced date for when May will trigger Article 50 of the Lisbon Treaty, starting two years of negotiations on exiting the EU. 2019: Expected date when the UK will leave the EU, leaving 27 members of the bloc.